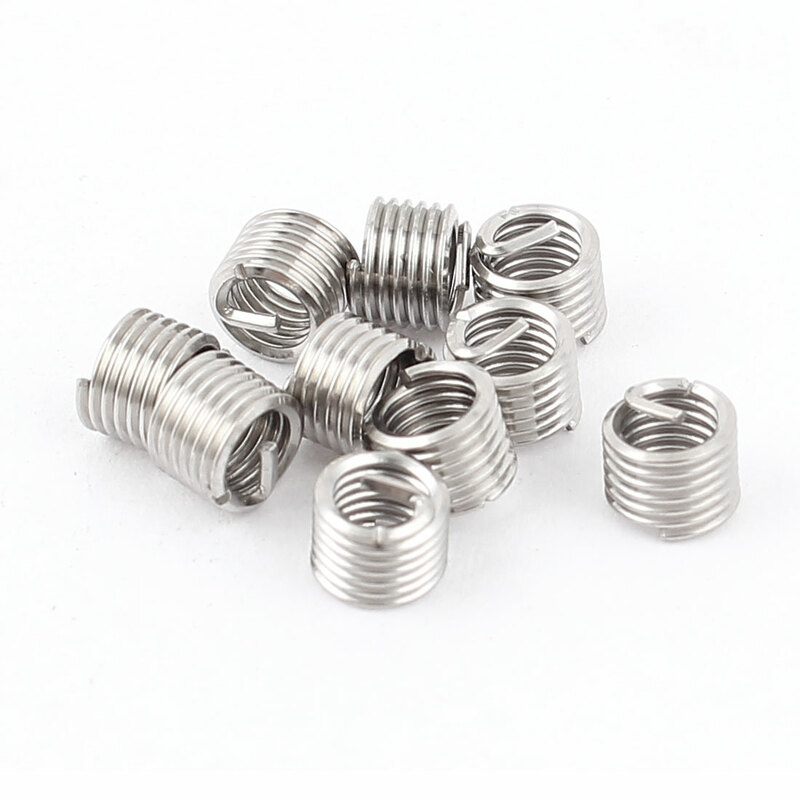 10 pieces silver tone 304 Stainless Steel material, wire Thread Repair Inserts.Produced from precision profiled austenitic 304 stainless steel wire wound into a helical spiral, free running inserts have a spring like appearance. When installed using any one of a variety of manual or automatic tools they provide strong permanent internal threads which resist heat and corrosion. Once fitted their position is maintained by the action of radial pressure between their coils and the flanks of the tapped hole. Pitch: 0.7mm; Fit Drilling Diameter: 4.2mm/0.17"